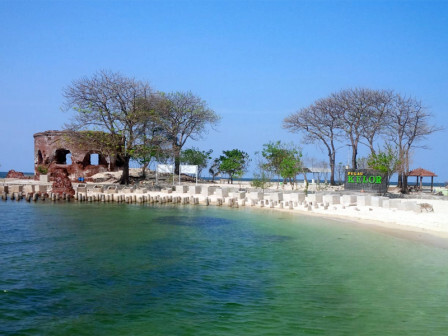 Along 2019, Seribu Islands Tourism and Culture Sub-dept is about to intensify cultural tourism in Seribu Islands.
" It is done as one of the efforts to introduce various arts and cultures, as well as the potential of natural tourism in Seribu Islands"
Seribu Islands Tourism and Culture Sub-dept. Head, Cucu Ahmad Kurnia stated that cultural tourism is a type of tourism that uses the potential of nature, namely cultural heritage tours on Onrust, Cipir and Kelor islands and cultural arts tours from various tribes who live in Seribu Islands, ranging from traditional houses, special foods, batik, and arts. "It is done as one of the efforts to introduce various arts and cultures, as well as the potential of natural tourism in Seribu Islands," he said, Wednesday (12/5). Aside that his sub-dept. has prepared various events along 2019 such as Untung Jawa Island Festival in February, Panggang Island Haul Babang in August, Tidung Festival in August, Kelapa Island Gebyar Muharram in September, and Seribu Islands Festival in November and many more. "We'll also hold folk music arts performances and water sports competitions in the public space every month," he stated.